Have you joined the oil craze yet? I have, in full force. I love oils - for my hair, body, face, nails. Even my oily skin - nay, *especially* my oily skin loves great oils on my face, and Rosehip oil is one of the greats. What? Why add even more oil to my oily skin? Well, first of all, cleansing skin of the natural oil it makes only encourages our skin to make more - the more harsh and stripping the cleanser, the more your skin ramps up production to make up for it. 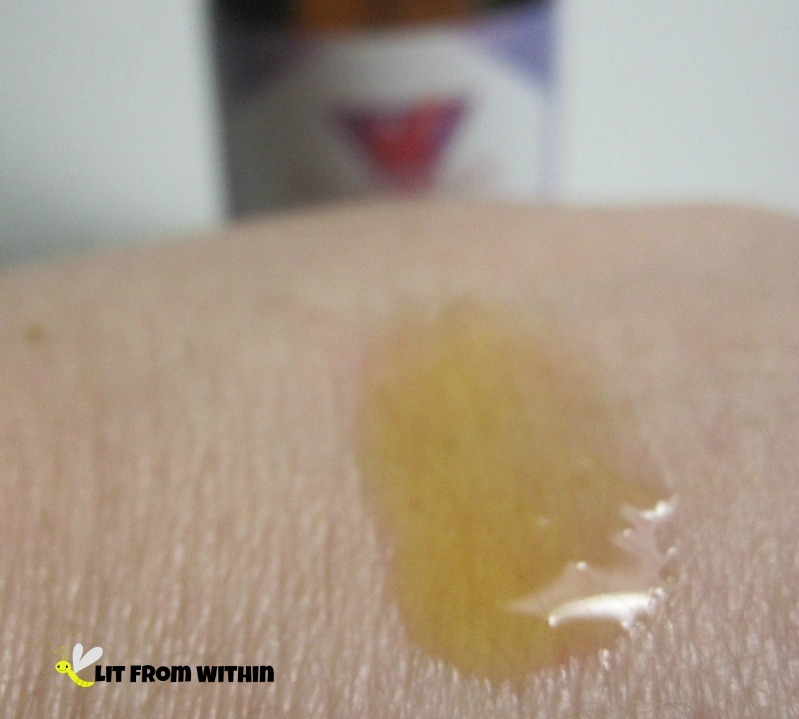 Second, oils like Rosehip Seed oil have lots of fatty acids that have anti-aging properties. And, oils provide a protective barrier to keep moisture in the skin. Rosehip Seed Oil can be used on the hair, skin, and nails. It can be used to treat minor burns, scars, ezcema, psoriasis, dry skin, acne, blemishes, brittle nails and hair. Foxbrim Rosehip Seed oil is sourced from Chile, is 100% pure, unrefined, cold-pressed and certified organic. There are no additives, fillers, parabens, or fragrances, and it's cruelty-free. In my experience with oils, the better it is for you, the stinkier it is. Some believe that deodorizing an oil reduces the beneficial properties of that oil; some do not. I'm not a chemist... but I would be happier if all my skin care smelled like sweet orange! Rosehip Seed oil doesn't come from the same part of the rose that the perfume does - the seed has a nutty, earthy scent that I'm not really all that fond of. It is such a beneficial oil, however, that I'll use it anyway. My favorite way is to put two pumps on my hands, rub it into my hands and cuticles, and then pat the excess on my face as the last part of my skincare regimen at night. I loved all the different purple triangles in the label of this oil, so I used a triangle stamp and double-stamped different purple polishes - first using China Glaze Giver's Theme, and then Obsessive Compulsive Cosmetics Pagan over Nicole by OPI Count On Me, a blue to purple shimmer in a clear base. If you haven't gotten into the oil revolution, I recommend it! I particularly love argan oil for my hair, jojoba and rosehip seed oil for my hands and nails, and coconut oil for my body and hair, among others! 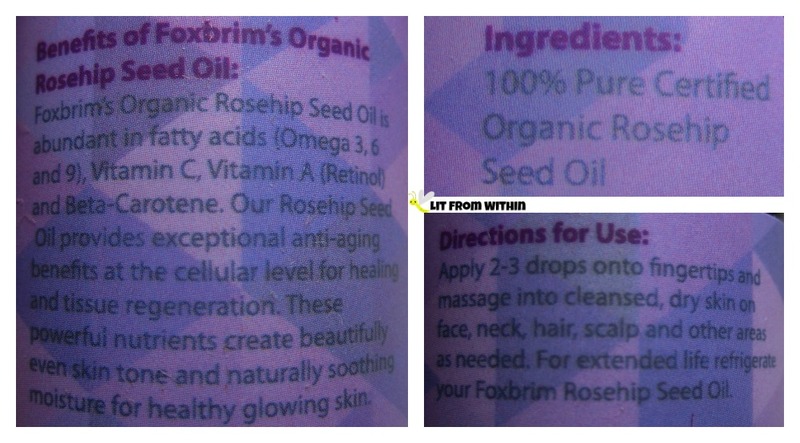 If you try Foxbrim Rosehip Seed oil and you're not happy with it, they have a 100% money-back guarantee. If you'd like more information about Foxbrim, they can be found on Facebook, their webpage, and on Amazon.com, where this Rosehip Seed Oil is currently on sale for $15.99. Dead Sea Mud Invigorates Me! Luxy Lips - Luxury for a Buck! Do I Have a Secret Crush? Black and White Fierce Foiled 60's Stars!